You may have seen cute flower trucks pop-up in cities like Nashville, Springfield, Grand Rapids and St. Pete, but now Orlando has its first (to my knowledge) mobile flower truck. 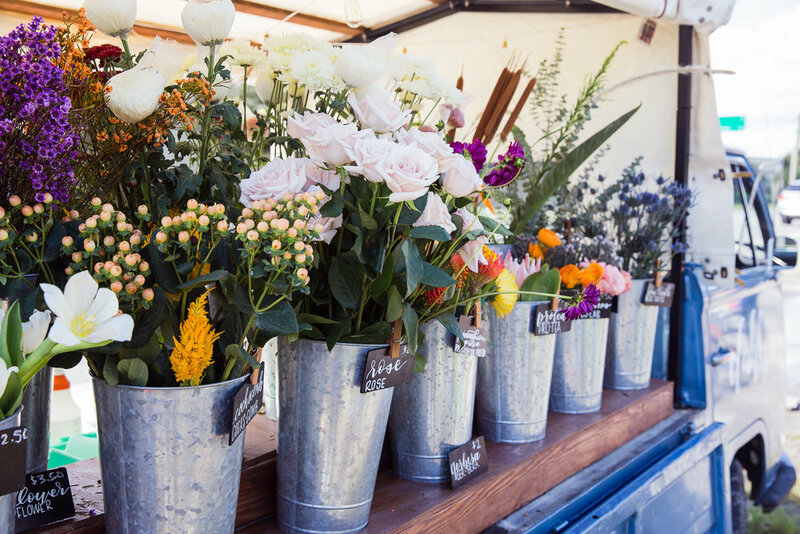 Dahlias Flower Truck is a family operated business spearheaded by mother, wife, and DIY blogger Diane and her daughters Courtney and Carly. They have each brought their own set of unique skills to the forefront to start the business. 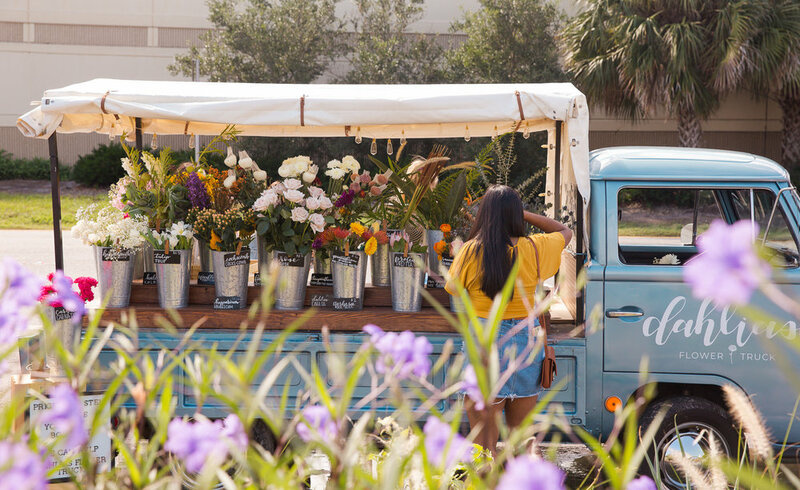 From their business acumen and skills in photography, graphic design, and floral knowledge, you’ll find them huddled together around the truck even on hot Florida days, to spread happiness one bouquet at a time in the community. When you visit the truck you can create your own bouquet and decide how small or full you’d like to make your arrangement. The price is all dependent on the cost per stem of each flower. Some items can be relatively inexpensive around $1 - $2 per stem or more costly flowers like the popular protea can go for $15 a stem. Don’t fret about not having floral experience to create a beautiful bouquet; once you select your stems Courtney or Diane will arrange it for you and wrap it so it’s ready to give as a gift or take home for yourself. Dahlias has just begun popping up around Central Florida and the best way to keep tabs on their whereabouts is on Instagram. You can also book the truck for private corporate events and weddings through their website. If you are a local business that wants to have Dalias pop-up, you can reach out to them directly. 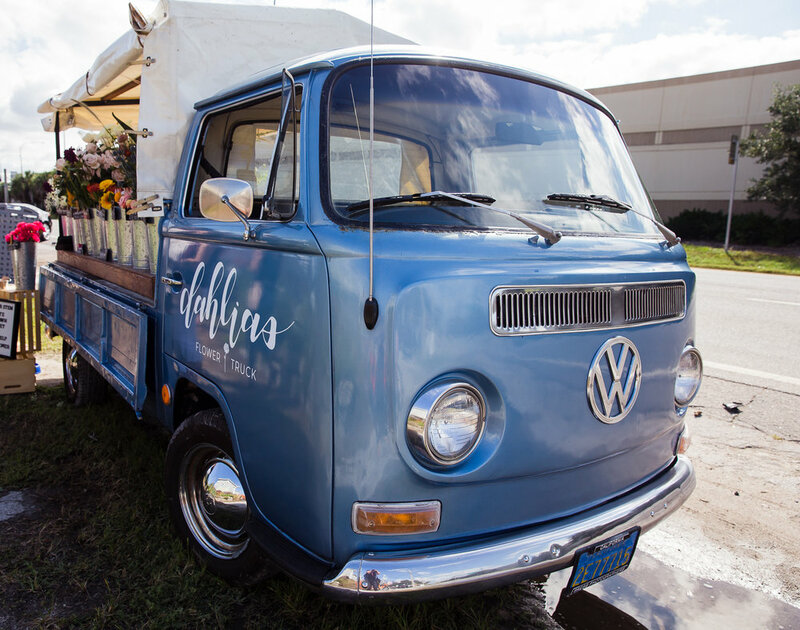 Make sure to follow them on Instagram @dahliasflowertruck to find out where they will be popping up next.